Set in 1933 prohibition era, there's little about this movie that feels like it's set in that time. The movie sets, look like movie sets. The general feel is more of a detective novel or 1930's cop show than it is of any reality. It has a cast full of over the top performances, bad gangster slang and stereotypical accents. 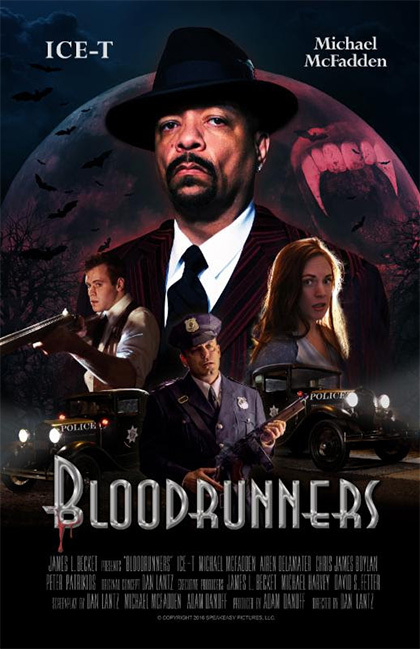 If I had to compare Bloodrunners to any film, I'd compare it to A Vampire in Brooklyn. Not just the common vampire theme. Both movies were firmly stuck somewhere between trying to be comical and trying to be scary while successfully failing at both. It also has that awkward feeling A Vampire in Brooklyn had where you're not quite sure what to make of it but you don't like it. I think the biggest let down of all are the actresses in the movie. Women have come a long way since the 1930's. Much more so than men have. To see modern day women playing the part of a woman from another time, yet acting so little like the females of that era is a common disappointment in Hollywood. I'm not sure what they were trying to do with the completely unnecessary flashbacks to war scenes. It was simultaneously over the top serious yet coming off comical. It actually reminded me of A Christmas Story when child Ralphy has a daydream of staying off burglars with his new Red Ryder carbine action, two-hundred shot range, model air rifle. Not what I want in a horror movie. Or even in a horror themed 1930's gangster movie satire which is what I felt this was. My personal highlight for the film was actually Ice-T. How often will you hear that? While I think the director wanted an over the top performance from the entire cast. Ice-T tends to play Ice-T no matter what character. Not the broadest actor by any means, he does play the Ice-T character well. 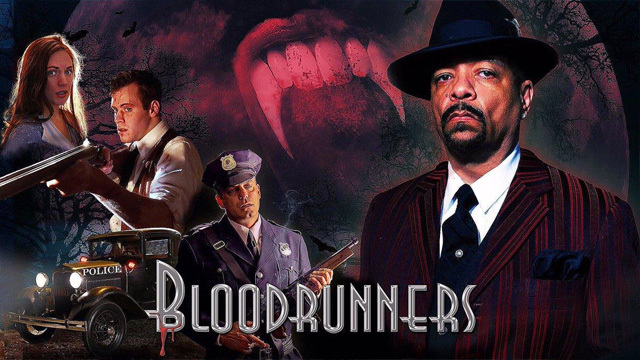 Ice-T as a cop, Ice-T as a thug, Ice-T as a pimp, which is what Ice-T does best. While a 1930's Vampire, pimp isn't ideal, it was still nice to have a somewhat realistic performance in a movie where everyone else was laughably outlandish. The biggest attribute to Bloodrunners is it did an excellent job with how it looks for the budget. The price of buying a cheap house is far below where a movie of this visual quality should be. It'd still be hard to recommend this to anyone unless I someday come across a 30's detective novel, satire loving, vampire fan. While it looked good for the budget, don't do CG unless your have the budget for it.